Notes: This Fore and Aft pattern can be used on both river and lake. 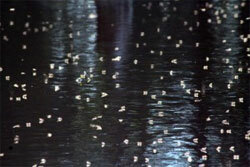 In small sizes it can work as a midge cluster pattern and, in larger sizes, it might be considered an attractor pattern. Devised in Idaho on the Malad River by guide Taylor "Beartracks" Williams in 1928, it was an excellent pattern for cutthroat trout. The pattern is a Fore and Aft construction that had been popular in Europe for centuries. The Renegade became one of the most popular Fore and Aft patterns developed in modern times. It has a white front hackle for superb visibility. 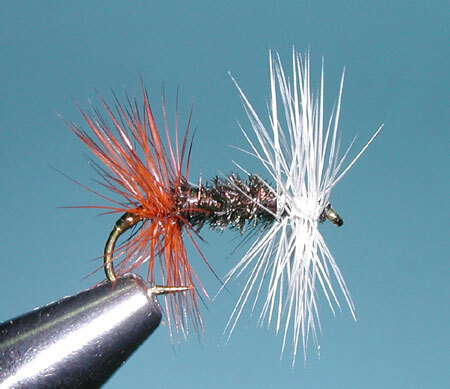 The rear brown hackle provides stable positioning on the water and the peacock herl body has been an ultimate material for attractor patterns such as the Zug Bug and Royal Coachman. Williams became the first guide at the Sun Valley Lodge in 1937 and was a close friend to Ernest Hemingway. 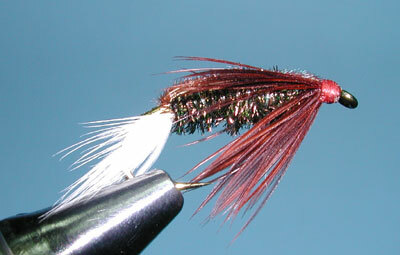 Hemingway spoke favorably of the Renegade pattern from experiences with wary rainbows on Silver Creek in 1940. He remained a close fishing companion of Taylor "Beartracks" Williams until Williams' death in 1952. Numerous variations have sprung forth with the Reversed Renegade, Double Renegade, Renegade Nymph (Terry Hellekson, 1974), and Royal Renegade. The Renegade can be fished either as a wet fly or dry fly. As a dry fly, the Renegade can be cast upstream towards feeding trout. 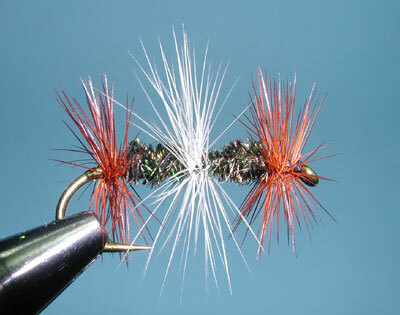 The Double Hackles provide excellent floatation and visibility. Another method is to cast across and slightly upstream, letting the fly float downstream. 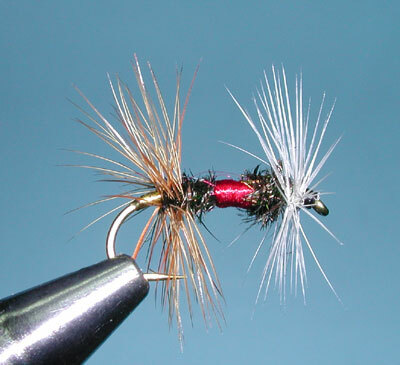 Once the fly is below you, pull it upstream as a wet pattern. 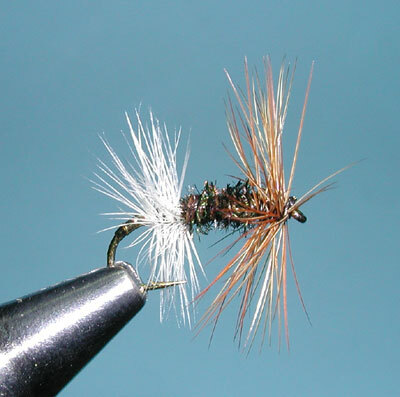 Choice of hackle materials will determine whether the pattern is primarily a wet fly or dry fly. You can use the stiffer Whiting Rooster Saddles for excellent floatation as a dry pattern or use Hen Saddles for a wet pattern. Either way, they are tied in a collar style. On lakes, the pattern can be a good choice when trout are feeding on chironomid emergers particularly during the early evening , used with a floating line and floro leader.